Photo courtesy of Moutinho's Instagram account. 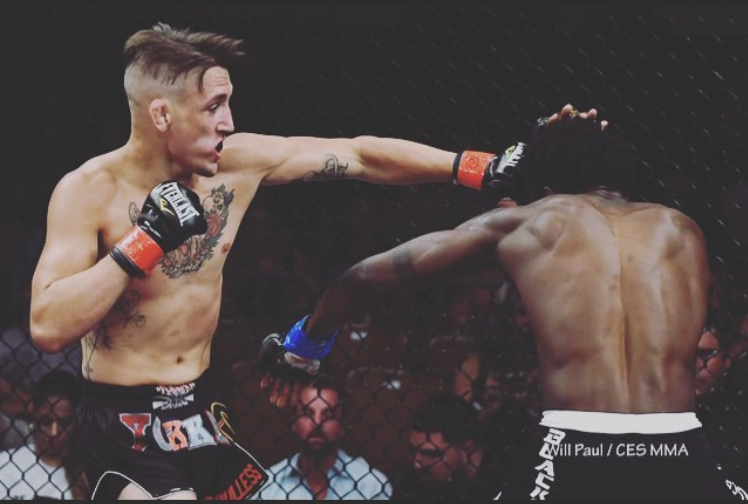 Kris Moutinho’s last fight was a battle, he went back and forth with Da’Mon Blackshear but after a slow start, he pulled out an impressive victory at CES 51. That win put his record at 6-2, the BST Fitness & MMA fighter is now on a two-fight win streak after dropping the two before that. Moutinho was glad to get the victory, despite a slow start, the highlight of the fight for him was being able to show how big his heart is. The fight with Blackshear also showcased Moutinho’s full skillset as the fight allowed him to stay on the feet, go to the ground and go the distance. Proof of what Moutinho has been trying to prove the whole time, that he is a complete fighter. After that performance, Moutinho went on vacation to Mexico to soak up some sun and eat too much. After achieving both goals, the bantamweight prospect returned home and hit the gym almost immediately. It didn’t take much longer than him getting home to get another fight booked as well. At CES 53, Moutinho will face James Quigg, who has a record of 4-2 and is also a teammate of Blackshear’s at Team ROC in North Carolina. Moutinho believes that Quigg will try and take him down, but he isn’t worried about it. Quigg will be a tough test for Moutinho as he has had an impressive career so far, he went undefeated as an amateur and continued his win streak as a professional going 3-0. He then lost his next two before picking up a win in his last fight. What Quigg has done best in his career so far is avoiding giving the judges a chance to decide his fate. All of his fights, as an amateur and a professional have ended in finishes. Moutinho is known for finishing fights as well, and he believes this one won’t go to the judges either. 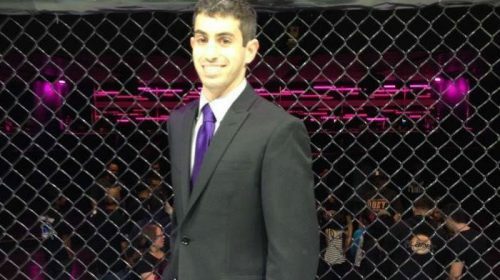 After his last fight, Moutinho called for a shot at the CES bantamweight title. Since then, the title has been vacated by former champion Andre Ewell who has been signed by the UFC. Now, the title is up for grabs at CES 53 as Moutinho’s teammate Dinis Paiva will face Tony Gravely. Kris Moutinho is rooting for his teammate and he won’t face him if he wins, but he believes his big break is coming soon and that he is ready for it.